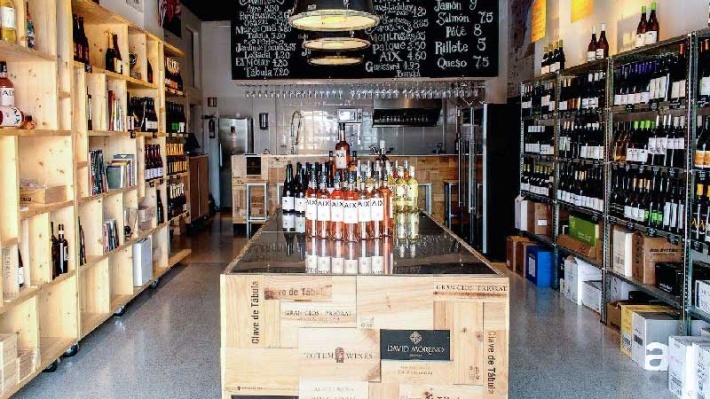 If you think that Vino & Co Ibiza is simply an excellent wine store, then think again. 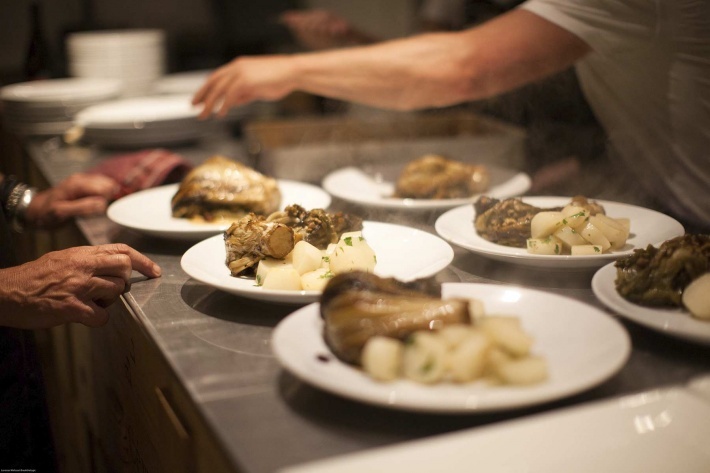 This family run business has become a hub for local, all year round residents, who come to enjoy the unrivalled ambience which has been created here by a combined passion for excellent wine, fabulous food, and above all, the resonant sense of fun. 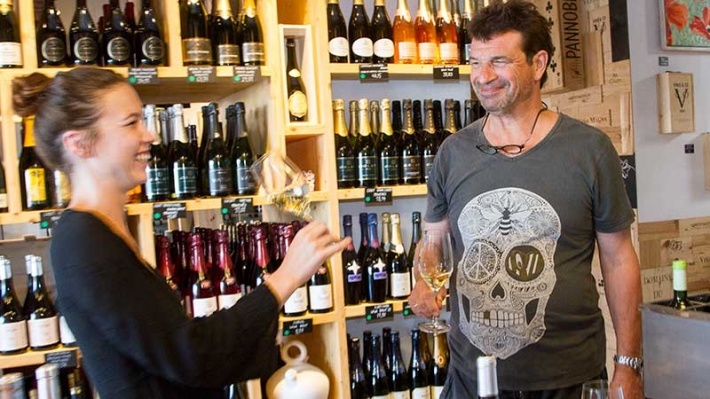 The spirit of Vino & Co is embodied by the charismatic owner Jeroen who has been a self confessed wine hunter and connoisseur for over 30 years, and has turned his passion into a thriving business. 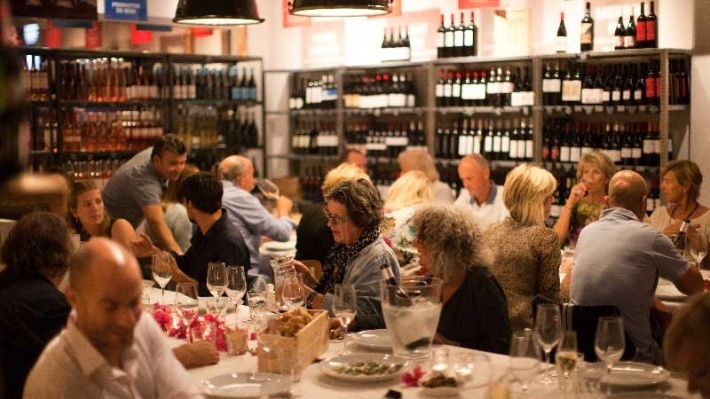 Along with his daughter Rosa, Jeroen prides himself on striving to offer wines from smaller, lesser known bodegas, encouraging wine lovers to push their boundaries, moving away from the ‘safety net’ of famous names and bringing smaller wineries to the forefront of people’s minds. At Vino & Co, wine is a way of life, an adventure, something to be savoured, explored and most importantly, enjoyed! It should never be taken too seriously, and indeed, the store itself reflects this with its welcoming, friendly atmosphere. Should you need guidance and advice on your chosen wine, you couldn’t be in better hands, and with the varied selection of wine, champagne, sake and spirits on offer, there is surely something to suit every palate. However, Vino & Co has also become renowned for their social gatherings, having established themselves firmly on the winter social scene with their infamously popular ‘Bebe Viernes’. The bar comes to life in the evenings, with people from all over the island flocking to enjoy the informal, welcoming atmosphere and home cooked, sumptuous food. And of course, some fabulous wine. 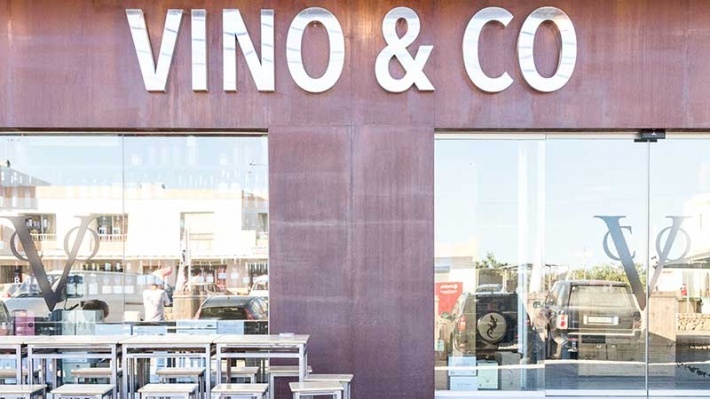 Following the success of the Friday gatherings last year, this winter looks set to see even more events taking place at Vino & CO. The bar will host regular gatherings throughout the winter months on Tuesdays and Thursdays, be sure to keep a close eye on their Facebook and Twitter posts for updates, and of course they will continue to keep the party spirit flowing each Friday from 17.00 until midnight. It’s the perfect place to pass by for a glass or two either on the way home, or before dinner. You never know who you will meet at Vino & Co, and that is all part of its very unique charm.